‘Woman in Red’ is the second painting in Ismet Jesenkovics’ new series of paintings (first already sold). This oil on canvas measures 750 mm x 750 mm, she is selling for $1800.00. All enquiries to Peta Barwick at P1 Design. Ismet Jesenkovic, oil on canvas. ‘Woman in Red’ series. 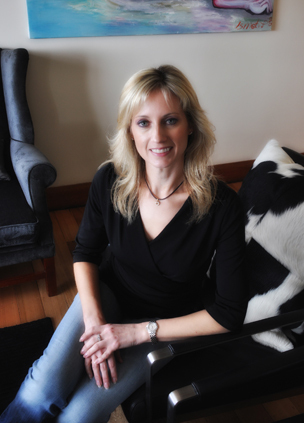 Peta Barwick is the principal designer for Tasmanian based P1 Design & Development. Finishing her Diploma in Interior Decorating thirteen years ago Peta has had the opportunity to be involved in decorating in many areas of the property industry.